With the industry being crowded with so many different players it is crucial that you look for ways to differentiate you lawn care business from the competition. Before setting up your business you should identify what your unique selling proposition (USP) will be. Your companies 'unique selling proposition' is a clear statement about how you differentiate yourself from the competition. You may stand out from your competitors due to your prices, guarantees, quality of service, variety of services or your marketing. 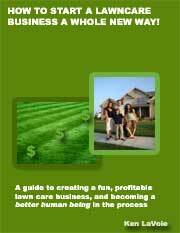 Let's take a look at some of the ways that you can set up a lawn business that is different from all the others. 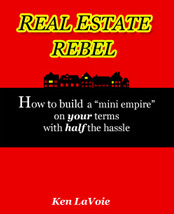 Try to identify and develop some 'niche' services that are in reasonably high demand in your area. You may find that you can make much better money with them in comparison to regular lawn mowing. By becoming a specialist in one or more particular areas you will also have an easier time making a name for yourself and building a reputation. Ways to differentiate your lawn care business based on the services that you provide include offering unique up-sell services in addition to lawn mowing. These could include services like Japanese landscaping, installing irrigation systems or building retaining walls for example. The list is endless and if you come up with some unique ideas for services that people need you will definitely stand out in the market as being unique. The larger lawn care franchises and other well established players have to standardize their services so that they all conform under the umbrella of one brand and offer services that suit everyone. As a newcomer to lawn care it is much easier for you to take a different approach and offer niche services that only appeal to smaller sections of the market. Some lawn care businesses try to compete by offering a lower price than other companies. This strategy can work but it can also be dangerous for a variety of reasons. Guarantees also offer you a way to make prospects an offer that they can't refuse. Various forms of satisfaction or 'money back' guarantees can help you to stand out in the market. Keep in mind though that you may have to honor these guarantees if things don't work out well with a customer. You may choose to offer a similar service to every other company but come out with some unique company policies or company culture. Starting an environmentally friendly lawn care business with electric equipment and organic fertilizer is one example of offering the same service in a different way. If you are able to think up a marketing approach that has everyone sitting up and taking notice then you will really be distinguishing yourself from other players. Even if your services are the same as all the others you can still beat them by creating and projecting the right brand image. If your marketing implies that your company is different or better in a way that is convincing then it doesn't really matter if your services are the same as your competitors. 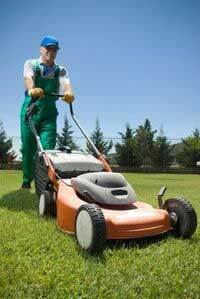 If you base your business on the same tired model that other lawn care service companies in your area are using then your performance will be average at best. To really break away from the crowd you need to differentiate yourself by thinking outside the box and starting a lawn business that really stands out.